The gluten free diet benefits can be numerous. Logically, when we exclude this allergy-causing protein from our meals, we can expect to see huge improvements in our health and wellness. See how gluten can become a major problem in the previous article. What can we expect from eliminating gluten? I can tell you first hand that the gluten free diet has been a real blessing for me. A lot of my long-term health issues were resolved by making that one simple change in my diet. Take a look at my favorite gluten free diet benefits I experienced quickly after taking this leap! As I have mentioned in the previous article (The Dangers of Gluten), gluten has been responsible for my constant bloating, meteorism, and severe IBS discomforts. And logically, right after ditching this wheat protein, the pain stopped – so quickly and so magically that it seemed too good to be true! So, if you suffer from any of these unpleasant discomforts, try to be gluten-free for a while and see if this was the root of the problem! As mentioned previously, gluten can really mess up your biochemistry and cause brain fog, difficulty concentrating, ADHD, even depression, and anxiety. As soon as I decreased my gluten intake, I was feeling significantly better with regards to my mental health and emotional state. I was feeling much more clear-minded with fewer and fewer mood swings. For a person like me, who has been through severe psycho-somatic depression, taking care of my mental health is a top priority! I pay attention to anything that might trigger this ailment and try to eradicate it from my lifestyle ASAP! So, if you have any episodes of anxiety or depression (even the mildest! ), seriously consider eliminating gluten from your diet! Although the link between gluten and weight gain is a little bit indirect, there is still a correlation. And the logic behind it is this – most foods which contain this protein are also rich in carbohydrates (like bread and pastries). And carbs are notorious for elevating the blood sugar levels and subsequently – the insulin hormone secretion. Insulin, on the other hand, is also known as the “fat storage hormone” – it is responsible for preparing our bodies for possible future food shortages. But these caloric deficits may never come (as it usually happens), and the results are rather scaring – the weight keeps piling up, and the cardiovascular system gets more and more overloaded. When switching to gluten-free foods, most people experience a natural and healthy weight-loss because the intake of carbohydrates is limited. And as a consequence – the insulin rushes are far fewer and the weight gain is restricted. And this is not just an empty theory – many people have seen this beneficial side effect through their own experience and empirical evidence. So, should you have any issues with your weight, try going gluten-free and focusing on the low carb substitutes of the regular wheat (like flax seed flour, coconut flour, almond flour, etc.). One of the best gluten free diet benefits is reducing the inflammation in our bodies. As we have learned previously, consuming a lot of gluten irritates the intestinal walls, causing micro wounds to the mucosa. As a result – our system reacts and tries to heal this tissue which elevates the temperature of this area and it becomes inflamed. If this occurs in a short-term manner, the body can easily manage the situation. But think about what happens when we continuously irritate the guts and create more and more of these small (but dangerous) slashes. That’s right – the inflammation becomes chronic, more difficult to treat, and, sadly – it starts to spread all over the body in the form of arthritic pain, allergies, food intolerances, skin ailments, etc. So, the first step towards the recovery from any form of inflammation could be getting rid of gluten, even if this means being on a gluten free diet for a set period of time. If you have any issues with such health problems, definitely try the gluten free lifestyle! As I have mentioned before, most gluten-rich foods are packed with carbohydrates. And these carbs create a vicious cycle of blood sugar surges and insulin spikes. What happens when the initial energy boost we get from the sugar intake fades away, is a sudden drop in our energetic levels. We get sleepy, sluggish, and even moody. On the flip side, if we cut our consumption of carbohydrates, our energy levels stay stable throughout the day, and we feel more vital, calm, and clear-minded. So, in case you have any troubles with your productivity during the day, make sure you substitute your gluten foods with their low carb alternatives. For example, almond flour, coconut flour, flax seed flour, stevia, etc. This is one of the best combos – you heal your guts, shred some extra fat, and keep a stable high energy level for long hours! I hope now you can see all of the wonderful gluten free diet benefits! Although this is not intended to be the full list of positives from getting rid of this wheat protein, it still points out most of the common problems people struggle with on a daily basis. So, bottom line is – test this out! If you wish to see if these effects will be true for you – just try and observe the results! And you may be surprised! Leave a comment below and tell me what have you found in your gluten free diet trial? How do you feel? Have you seen any positive (or maybe negative) changes? I am eager to find out! 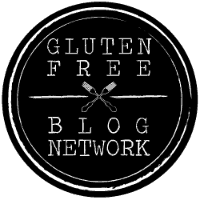 Need ideas for your gluten-free lifestyle? Worry not! Here is my ultimate gluten-free dessert recipe cookbook! “Easy Gluten Free Desserts” will enchant you with its simple and delicious recipes! You will find tons of tasty and sweet ideas for your gluten-free lifestyle! -> and so much more! Satisfy your sweet cravings with these simple, yummy, and healthy sweets and dive into the waters of gluten-free cooking with “Easy Gluten Free Desserts”! Stay tuned for more health and wellness info and articles! This entry was posted in Wellbeing of the Body and tagged anti-inflammation, celiac disease, gluten intolerance, gluten sensitivity, gluten-free, inflammation, weight loss. Bookmark the permalink.